Business Services are generally extended by a third party to help the clients to run it (business) very smoothly. We at Spacion Business Centre (SBC) offer you many such services for a smooth and effective business. Our Business Services in New Jersey, USA are all opened to various types of clients who are seeking excellence in services and profit in returns. 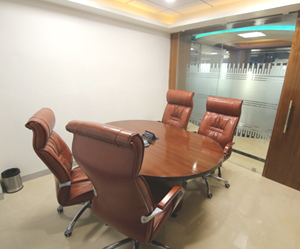 Spacion Business Centre (SBC) provides the place to conduct Board meetings, Budget allowance, Review of sales performance, Conducting interviews etc. Have a look at the list of additional services provided by us. To use our space for your business needs, registration is not compulsory at Spacion. You can enjoy the benefits of having a prime location for your organization. If you need to get statutory registrations, we can help you save your precious time. When we say IT support, it is not limited to the infrastructure alone but we also provide IT professionals for your assistance. This makes recruitment a less of a struggle and give you services for an affordable price. To achieve a high rank in the business industry, we provide you with experienced professionals in IT. We have a team of highly experienced experts in each aspect of business and you can avail their services for an affordable price at Spacion Business Centre. You are assured of result oriented service from our team members. Thus you can save a lot of money and time in recruiting persons for different jobs. Apart from the regular services, we also offer special services on demand. Customized supporting system of Spacion Business Centre (SBC) will help you in all the aspects of your business. You will get all these for a reasonable price.